The television series Friends was an iconic show that, oddly enough, touched on some interesting law-related issues. In seasons 5 there was an episode where Phoebe and her police-officer boyfriend were rudely awakened by a squawking bird. Phoebe’s boyfriend nonchalantly pulled out his gun and shot the bird, much to her dismay. We know many people that have considered treating pesky magpies in this manner: especially in the spring, when they so loudly protect their nests, and feed their young with the babies of other birds. But what would happen if one were to do this in Alberta? Would it be a violation of any bylaws? Or criminal laws even? The starting point for figuring out if you can shoot a bird is to look to see if there are any laws protecting birds. In Alberta, the federal Migratory Birds Convention Act and the Migratory Birds Hunting Regulations combine to protect the majority of birds. The Alberta Guide to Hunting Regulations further explains which birds a hunter needs a license to shoot. 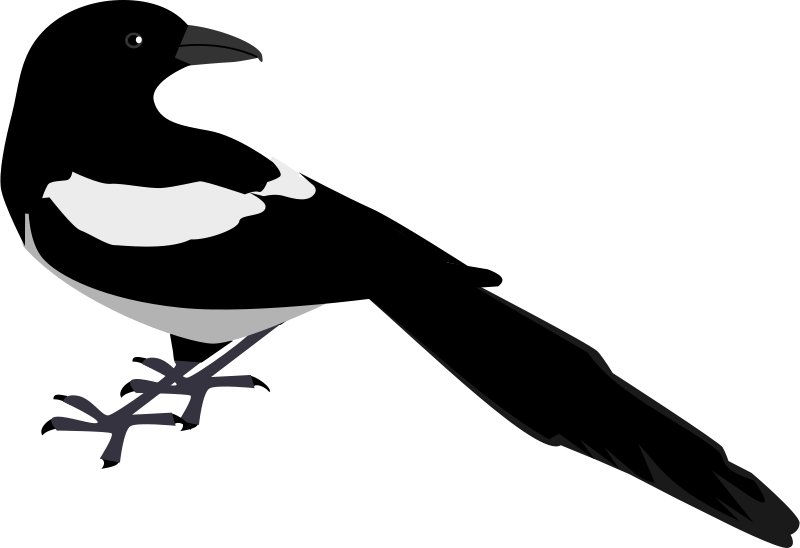 A non-exhaustive list of exceptions to this licence rule includes birds like magpies, pigeons, and crows. But even if you shoot one of these exempt birds you have to be mindful because you might be caught violating one of many firearm laws. What levels of government govern firearm laws? The federal government, provincial governments and individual municipalities all have laws governing firearm use. The federal government regulates firearms through the Firearms Act and Part III of the Criminal Code of Canada. These laws work together to ensure that firearms are properly registered and used safely. The provinces have the power to make laws governing hunting, and they have often used this power to govern firearm use. In Alberta, firearm use in the province is regulated by the Alberta Wildlife Act. This Act covers multiple issues including the prohibited use by minors unless under the supervision by a guardian or someone similar (section 31(1)). At the municipal level many cities have crafted bylaws controlling firearms within their limits. For example, section 9 of Edmonton’s Public Places Bylaw outlaws the possession and firing of any weapon capable of shooting a projectile in public places, and in Strathcona County there is a bylaw that prohibits the use of firearms within the urban area. So can I shoot that annoying magpie? Whether or not you can shoot that annoying bird will largely depend on where you live. Under certain circumstances you can discharge a properly registered firearm on your property if you live on a farm where there aren’t any bylaw or safety issues. This becomes less likely if you live in a densely populated area. For example, section 86(1) of the Criminal Code prohibits careless use of a firearm and section 52(1) of the Alberta Wildlife Act prohibits discharging a firearm within 200 yards of an occupied building under most circumstances. Finally, your city or town might also have bylaws that regulate the use of firearms. Some even apply when on private land like in Strathcona County. Just because you can’t simply shoot that annoying bird carte blanche, that doesn’t mean that there are not some viable solutions. Across the province, there are many cities that employ animal control officers to assist in dealing with pests like birds. For example, in Edmonton there is the Animal Care and Control Centre. They can help you legally trap pest animals such as skunks, porcupines, squirrels, ground squirrels, magpies, and crows on your own property. Crows and magpies can be particularly annoying. Alberta Fish and Wildlife explains that they will eat anything and it is important to keep garbage secure or they may venture on your property. You can also trim your trees until the cover they provide is too thin to provide protection for larger birds or use frightening devices like scarecrows or hawk kites. So you may want to think twice before shooting that annoying bird because you may end up doing more than just ruffling a few feathers.